It’s not only America’s Independence Day. It’s also an important anniversary for Western Civilization vs. jihadists. 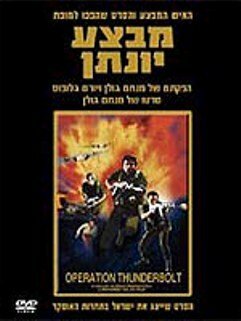 Forty years ago today, Israel successfully carried out Operation Entebbe a/k/a Operation Thunderbolt a/k/a Operation Jonathan. It’s an operation that hearkens back to a time, just a few decades ago when Israel was fearless and great, instead of a sitting duck for terrorists to murder young girls and babies while they sleep. 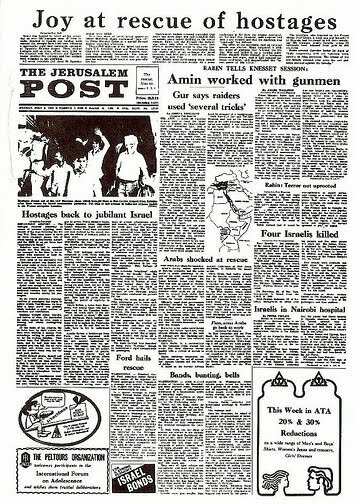 Below, I’m reposting some of what I wrote on the 35th anniversary of this event–a great victory for Israel and a strong defeat for Muslims who want to destroy the West. Nothing has changed since then. On July 4, 1976, we celebrated a great milestone in American history, the Bicentennial–200 years of American survival and triumph. My parents took me and my sisters to Greenfield Village and Henry Ford Museum in Dearbornistan, Michigan, to watch a Bicentennial parade. As proud Americans, we joyously partook in America’s monumental celebration. I asked my dad if I would be around for the Tricentennial, and he said, “Maybe . . . if you live to be 107 years old.” But there was a cherry on top, that day, which I will always remember, even though I was just seven years old at the time: the heroic, successful Israeli Army rescue of passengers that hijackers working for the Popular Front for the Liberation of Palestine (PFLP) terrorist group (and Germany’s Baader-Meinhoff Gang/Red Army) had taken hostage to Uganda. I remember how proud my late father was, seeing the reports on the TV news that night, just after we returned home from our sunny, happy day at the parade. America was jubilant in celebrating its special birthday and independence, and its closest ally in the world, Israel, was also jubilant in the rescue of people taken hostage on an Air France flight because they were Jews and flying from Israel. Israel paid special tribute and had parades in honor of its ally, America’s 200 years of independence. But Israel also had its own celebration going on–that Israel had successfully rescued so many Jewish lives threatened by Palestinian terrorists. I say Palestinian–and not Muslim–because the PFLP was not an Islamic organization. Its leader, George Habash, and his deputy, Wadih Haddad, were Christian Arabs. Yes, Christian Arabs have their key role in Arab terrorism, and don’t ever forget it. It’s part of their culture. It’s in their blood. They often hate Jews just as much as the Muslims do. The Israeli commandos at Entebbe carried out a secret mission planned on the previous Jewish Sabbath to rescue the passengers. All but four passengers were rescued. Three were shot by the pro-Palestinian hijackers, and an elderly Jewish lady was murdered by Muslim Ugandan dictator Idi Amin’s henchmen, as she sought medical treatment at a Ugandan hospital. The operation’s commander, Yonatan “Yoni” Netanyahu a/k/a Jonathan Netanyahu–whom many say was the superior Netanyahu brother to current Prime Minister, Benjamin Netanyahu, was killed in the raid. Other than this casualty, the operation was carried out with surgical accuracy and success. Although the flight contained 248 passengers, as is usual for bigoted Palestinians and their supporters, the non-Jewish passengers were freed, and 103 Jewish hostages were rescued by Netanyahu and his fellow IDF commandos. The Israeli commandos also killed all three hijackers and 45 Ugandan soldiers (have fun with those 72-revirginized, chumps! ), and they blew up 11 Soviet MiGs. An awesome achievement. 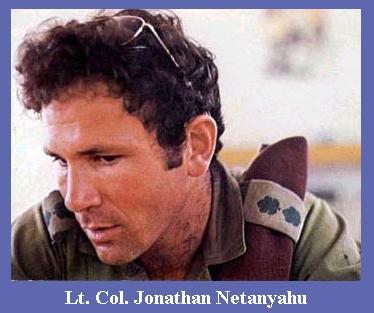 Incidentally, I also recommend the book, The Letters of Jonathan Netanyahu: The Commander of the Entebbe Rescue Force (See all History of Israel Books) , recommended and given as a gift to me by David at the JIDF. Great stuff, and shows you the kind of mensch and great writer the late Yoni Netanyahu was. As I noted, this was not only a great victory for Israel, but for the West. It was one of the few times when the West successfully saved most hostages versus Islamic terrorists (the Ugandans) and pan-Arabist hijackers (from the PFLP and the German terrorist groups). And, unlike the Navy SEALS operation killing Bin Laden, there was no burial at sea complete with a Muslim imam’s blessings for the Ugandan soldiers. Nope, Israel left ’em to rot. And that’s the way it should be. So, as we celebrate our country’s 240th anniversary, remember another important anniversary in the West’s fight versus our enemies. I second what Sanford Horn said. 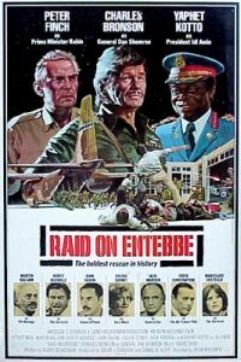 And here is the video for the “Raid on Entebbe” movie–an excellent movie as Debbie pointed out. It was one of Israel’s greatest triumphs. Back then, Israel was more than willing to take on it Arab and Muslim enemies on air, sea, and land. In those days, if you tangled with Israel, you would indeed be the worst for it. Bibi’s brother Yonatan died in that raid at the age of 30. Today Yonatan’s spineless know-nothing brother, the PM of Israel, just paid off 21 million US dollars to Turkey to compensate them for the jihadist terrorists killed by Israeli commandos, in self-defense on the Mavi Marmara. In a sane country, there would be calls for Bibi’s resignation, and huge protests. Israel is as lost as the West, dhimmified and clueless. I don’t see how Israel can even survive. Trust an appeaser of jihadists such as Bibi to somehow stop Iran? Me neither. Bibi insults his brother’s memory and his own past service in the IDF, and those of his comrades who have died in our wars, and the victims of jihadist terror likewise. Hence all the criticisms of Bibi from the West are misplaced, all the wrong criticisms. Anti-Semitic criticisms. He gets criticized for being ‘right-wing’ when he is just an appeasing grovelling doormat to Islamists like Erdogan. 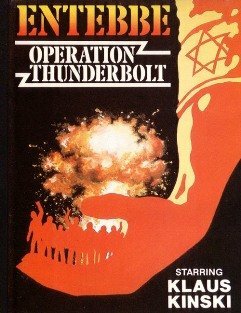 As far as the Entebbe films are concerned, if such a film were made today, it would be pro Baader Meinhoff or would draw some moral equivalence between the IDF and the terrorists. 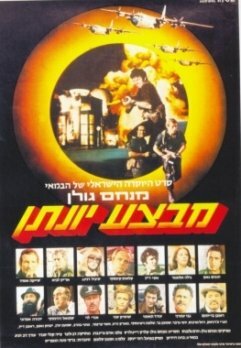 The best of the Entebbe films in my mind is the Golan-Globus one. Let me add this: maybe Bibi thinks we should compensate the families of the Baader Meinhoff terrorists for killing them at Entebbe. To the tune of millions of dollars. What difference? Debbie, thanks for the reminder. Great achievement then which would probably never happen today by the United States even though we are better equipped. I put forward Benghazi as an example! I recall the operation well & was proud & thrilled beyond belief. A great triumph by the State of Israel. I found out about the success of the operation prior to media coverage from a pilot who was waiting in an operations center with other pilots. They all celebrated. Our enemies will only be defeated by strength and a total refusal to give in to any demands. Gosh, gee whillikers, you were born in the same year I went to the old Republic of Viet Nam. On Independence Day in 1976, I was living with my wife, Bonnie, in military housing at Fort Hood, Texas, where I was a scout in the Cavalry. We had been on vacation to Washington, D.C. with my parents, where we toured EVERYTHING, including the White House, the Capitol, Arlington National Cemetery, and, with my wife and I being Mormons, the Mormon Temple. We also visited Jamestown, Virginia. 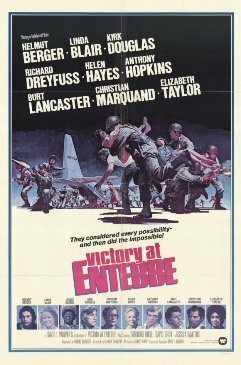 The news of the raid on Entebbe was akin to the news of the Six Day War, causing much excitement and rejoicing. I sure am glad I got to visit Israel (where I toured EVERYTHING) when I was a soldier in the United States Army. It’s a moment in my life that I shall always treasure. Entebbe:The defining moment on the war on terroroism by Iddo Netanyahu was good too. It focused more on Yoni. I think the personal connection the author had (Yon’s brother) made it real. 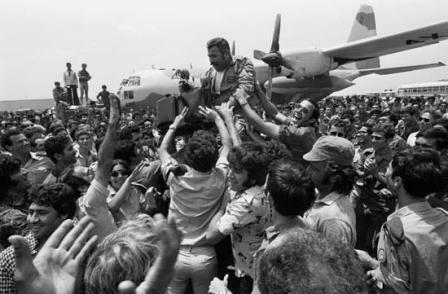 The Isreali Op at Entebbe was the gold standard for military special operations.